Since people who love a brand want opportunities to get more interactive than is possible through a Facebook Page, Facebook has recently made it easier for businesses to create their own Facebook groups. 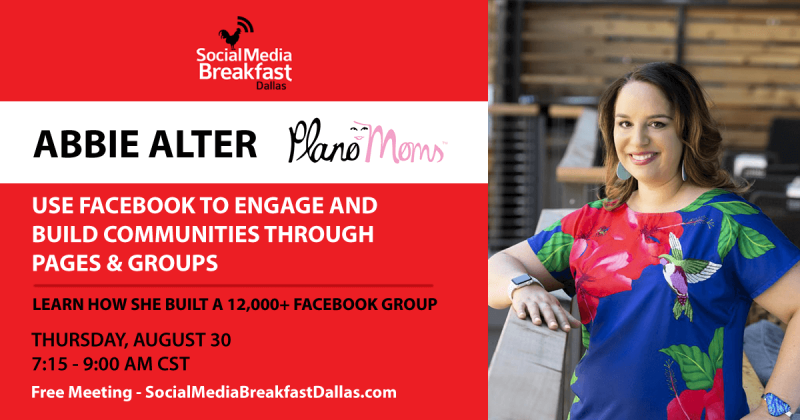 Groups for Pages allows businesses to set up “fan clubs and groups centered around your super-fans.” Come listen as Abbie Alter describes how she has built her 12,000+ Facebook Group, Plano Moms. Abbie Alter is an Online Influencer, an Online Social media & Marketing Expert, a Blogger, a Connector of people & a Creator of Opportunities. With 20 years of Digital Marketing experience at easyJet, Expedia and Tesco.com, she moved to Texas 5 years ago with her husband and 2 kids. 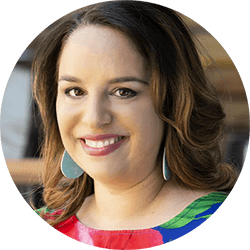 She created Plano Moms in 2015, an online community and local media platform of over 20,000 Local Moms in Plano, TX, has a team of part-time working Mamas helping her, and also coaches local Businesses in how to use Social Media. In addition to a wide-reaching Facebook page, Website of Resources and Instagram, her Facebook group has 12,000 Local Moms chatting at a rate of 70 new posts a day and also broadcasts a Weekly Episode Facebook Live Show with Mom Presenters. She provides both Local and Relocating Moms with new Friendships, Support, Advice and uses Word of Mouth and Online Trust to connect local Businesses with their target demographic.